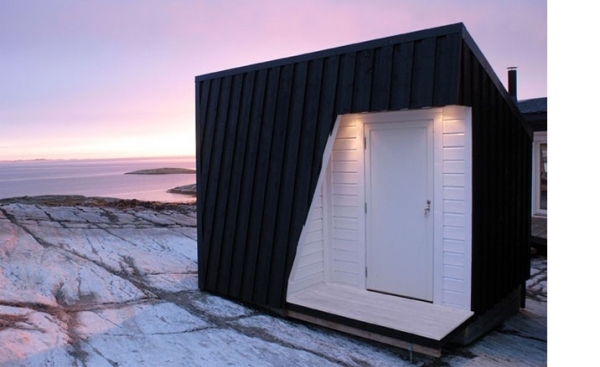 In the Fosen Countryside, in Norway, this fabulous Nordic cabin, Cabin Vardehaugen, was created by the architectural studio, Fantastic Norway (website in Norwegian). It was built thirty five meters above sea level and it has panoramic views from almost every location surrounding the house. 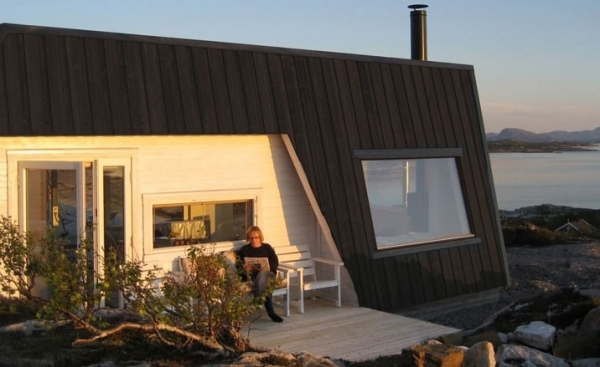 The exterior of this wonderful home has a stunning angular shape. 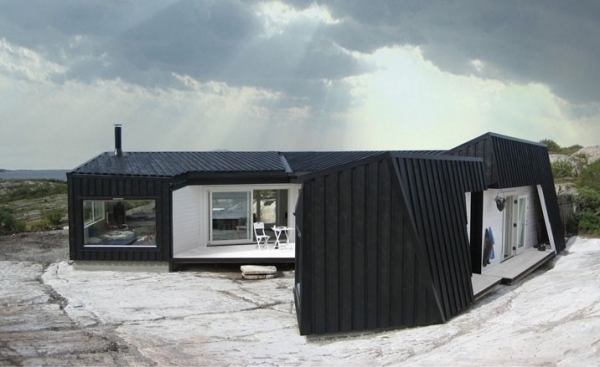 We adore the geometric shapes used in the construction of the house. 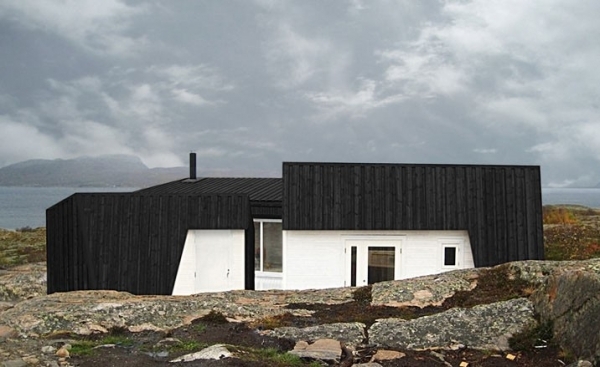 Vertical and horizontal lines give this Nordic cabin a delightful texture, creating a beautiful interest. The black and white color palette is positively delightful. It provides a striking contrast. We adore the way the white is used to define the entrances and outdoor areas of the home, it is an exquisitely thoughtful touch. The patio is absolutely delightful with its parallel lines. Sliding glass patio doors provide indoor and outdoor access, and awe-inspiring views from inside the home. 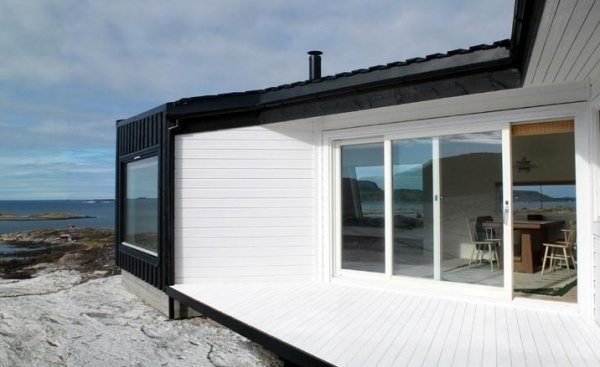 In the inside of this Nordic cabin, woods and whites fill the space. The window seat and the built in firewood storage are absolutely fantastic. 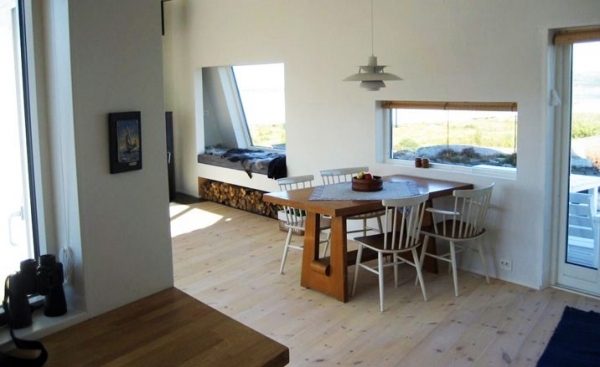 We enjoy the modern ceiling light, the lovely wooden table, and the natural hardwoods. The front of this home has a fabulous porch. The same hardwoods that are on the inside of the home form the base of the porch. A beautiful double glass door provides the entryway for this beautiful cabin. A white bench sits on the hardwoods, providing a place to watch sunrises and sunsets. The rocks, the plants, and the seascape are absolutely gorgeous. 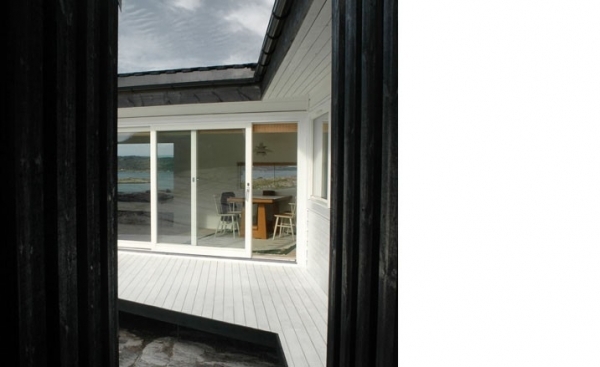 The windows in this Nordic cabin are truly grand, allowing for more wonderful views from inside the house. They also allow for a large amount of natural light, effectively brightening the inside of this wonderful home. With its panoramic views, beautiful architecture, and stress-free design, a stay here couldn’t be anything less than peaceful and serene.